Once again the South African Weather Service has issued a warning of severe thunderstorms, large hail and heavy downpours across the region. To minimize the damage that a severe downpour or hail storm can have on your home, it is important to weather-proof your home. Make sure that windows and doors are sturdy, and make sure that flooding risks are managed effectively. With that in mind, individuals need to keep in mind that this is also the time of year that property damage as a result of extreme weather is at its highest. October has already seen heavy rain, flash floods and hail throughout the region. Parts of Johannesburg and Pretoria also experienced severe hailstorms at the start of November, and authorities have warned that more extreme weather is on the way for the rest of this month. Damage to homes and vehicles as a result of extreme weather can easily amount to hundreds of thousands of rands for property owners. In light of this, it is extremely important that individuals know how to keep themselves and their assets as safe as possible against the extreme weather. One cannot always predict how severe a thunderstorm or heavy a downpour will be, but there are a number of precautions that individuals can take to ensure that any possible damage to their homes and their cars are minimized, and that their own lives are not placed in danger. - Human life remains the most important thing, and you must make sure that you and your family are safe before you do anything else. - Have a list of contact numbers for emergency services close at hand. - Listen to news and weather alerts to stay abreast of any storm developments. Many insurers also send their clients weather alerts for their region. - To minimise the damage that a severe downpour or hail storm can have on your home, it is important to weather-proof your home. Make sure that windows and doors are sturdy, and make sure that flooding risks are managed effectively. - Doing proper maintenance on properties such as cleaning leaves and other debris from gutters will also prevent potential damage to homes. - Fix any part of your property that is damaged as soon as possible, to avoid being exposed during the next extreme weather event. - Insurance coverage is crucial to a responsible risk management plan. 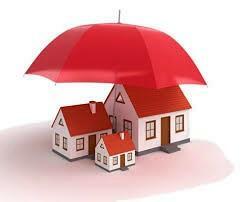 Speak to a broker to ensure that you have the right amount of cover for your home and your belongings. - Move important or valuable personal items away from windows as hailstones can break through and damage these. - At the start of a storm, unplug as many electronic devices as possible. This includes Wi-Fi routers, cell phone chargers, uninterruptible power suppliers (UPSs) and computers to prevent lightning damage. If possible, switch off the main switch to prevent any potential electricity damage. - Make sure that you are stocked up on batteries and other power back-up devices, so that you are able to charge your cell phone if the power goes out. - Motor vehicle accidents increase substantially during periods of rain. Increase your following distance by a minimum of three car lengths, decrease your driving speed and turn on your headlights to improve visibility. - Make sure you're up to date with your car maintenance: windscreen wipers should be fully functional, both headlights should be in working order, as well as brake lights, and most importantly, ensure your tyres are not smooth - this could also affect your insurance claim should you be involved in an accident. - Do not travel in a storm if it is not absolutely necessary. Rather wait for the weather to subside before getting on the road. - Whenever possible, avoid driving in hail. If this isn't possible, drive into an undercover facility or any kind of shelter to limit the damage to your vehicle. If that's not possible, make sure you have a heavy duty blanket in your boot to cover your car with. - Do not risk getting swept away in a flood. Never drive through low water bridges in heavy rain, or any large bodies of water. Houses and cars are replaceable assets. Your life and the lives of your family are irreplaceable. Therefore we urge all people to put their own safety first, let insurers worry about replacing your damaged assets. All you have to do is to ensure that you are covered by staying up to date with your insurance payments.